until the last decade or so, you’ve missed a lot, and I feel bad for you. took place before the Internet was there to cover them. more than 30. Fewer than a dozen anglers have fished more than 300 B.A.S.S. never won the showcase event. Bobby Murray was an unknown when he won in 1971. President of the United States) and Bill Clinton (then Governor of Arkansas). advance to the White House? pounds, 8 ounces and set a record for total weight (75-9) that still stands. and Denny Brauer (17) have more. before the 2005 Bassmaster Classic in Pittsburgh. Clunn won in a landslide! Clunn is a dominant name in the B.A.S.S. wins (tied with KVD). Those are just some of the biggest highlights. of bass in an event). And none of the other four has also earned the B.A.S.S. 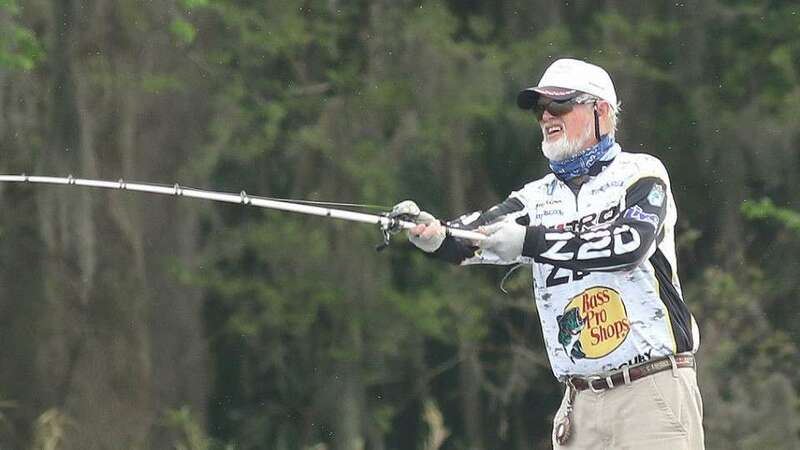 his 33rd Bassmaster Classic, where he’ll certainly be a sentimental favorite. real factor and a meaningful threat to win his fifth world championship.